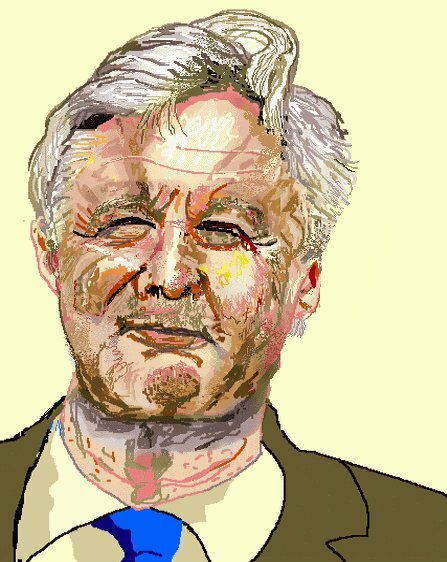 As I write, David Davis, Secretary of State for Exiting the European Union, may or may not resign very soon. It is, they say, fifty-fifty. Along with the transition, Theresa May will employ the backstop applying to the whole of the UK to preserve the no border between Northern Ireland and Ireland, and other trading arrangements, until there is an agreement that creates frictionless trade. David Davis apparently needs a cut off date. The problem is that without such an agreement, the backstop could go on forever. Now Boris Johnson has a different strategy. As well as being third rate, like pretty much the rest of them, including the Prime Minister, he is also both incompetent and care-free. On the latter, he says what he likes, and effectively tempts the Prime Minister to sack him, which she never does. Boris carries on, making an idiot of everyone. David Davis is not like this. He may have been ineffective in negotiating, he may laugh things off, as he does, ha ha, but he is capable of following collective cabinet responsibility and acting as if he has a brain. He is capable of timing. And here comes timing now. If he is going to do it, now is the time to do it, because if he goes the whole government ability to kick cans down the road runs out. This is what Theresa May is trying to do: extend the period of trying to do the impossible. But the Brexit crowd see the time running out where extension beyond the dates becomes the de facto reality: single market and customs union by stealth. Go now, would be the answer, whilst there still is time to avoid a complete crash. Going now starts a train of events which, indeed, could see the Tory Party split as it did under Peel, or something equivalent coming that makes the Tories like Asquith's Liberal Party. Davis won't want that, but he might fancy himself as leader to make the decisions that May cannot, and indeed consider himself as 'acceptable' in a way that Rees-Mogg would indeed cause many Tories to deny the Tory whip. Not that Davis could control House of Commons votes any better. It is now time for the House of Commons to become, in effect, on this, the government. The majorities and minorities have to be arranged cross party by the members themselves owning and working through the various amendments. The problem with this, of course, is the pathetic position taken by the Labour Party. It is also in fantasy land regarding what is possible and not possible. It wants to leave the club, but stay within the benefits of the club and indeed have a say in what the club management wants. Er, no, it doesn't work like that. You are either in the club or you are not. Fortunately, for those who might join in the future, without time limit, you can get the benefits of the club for a payment, whilst having no place in the management. Anything else is not there, and it never was, and, as has been said, trade deals with 'most favoured nation status' like others, aren't worth the paper they are written on, and take an awful lot of paper and a long time to write. What people are learning is that the European Union is the fact on the ground in just about everything. It is intricate to so much people value and need in every day life. The whole binary referendum was voted upon in ignorance, and has been the biggest demonstration if ever needed why we have representative and not direct democracy. We pay people to have the time to consider matters and make decisions, and this is why Parliament is sovereign on behalf of the electorate. MPs are not mandated; they are paid to consider and then decide. The House of Lords is part of Parliament, and its members are paid to consider and advise, in effect. It is time for MPs to act with sense towards the political economy and cultural life of the United Kingdom, and further, I would say, to break the mental yoke of this referendum. Once again, referenda are only useful once a Parliament has made a decision, not instead of it making a decision. Certainly it should not come about simply as a strategy in Tory Party politics, at such reckless risk to the British Isles. It is time to say, it was advisory only, and if you don't like it, kick us out at a General Election. If David Davis does resign, it could indeed spark events that, even via the Fixed Term Parliament Act. It is important then, especially for the Liberal Democrats, and all actual Remain MP candidates, to state that General Elections trump referenda. They do because no UK Parliament can be bound by its predecessor or anything else for that matter. So if we do come to a General Election, we have got to say look at the reality of the last two years, look at the actual cliff edge, but not just that, but look at the values the European Union expresses and how it makes a continental economy work, how we are one people across the geographical space. Let's be more like transformative Ireland. The notion that there will be an agreement, and that Labour etc. will consider it and whether it reaches certain tests, and there will be this 'meaningful vote' just seems to be sliding away. The issue is, will David Davis set matters into motion by which this political impasse can be resolved - not just one way or the other, but in a way by which we can all breathe one huge sigh of relief. What happened next day? Theresa May kicked the can down the road again. To stop the resignation/s (three or four, potentially) she put a cease date into the backstop document, except a cease date would stop it being a backstop. It would, if it was an absolute date, but it is a 'should' date or aspiration. Meanwhile, Boris Johnson shoots his gob off again. In an earlier night time meeting, he said the Treasury is the heart of the remain camp, that Donald Trump would have negotiated better, and that the Brexit that happens could keep us in lunar orbit of the European Union. May didn't sack him, of course, but got on a plane to Canada. It turns out she has told remain Tory MPs not to defeat her on the withdrawal bill coming up next week in June, because on a trade bill they will be able to defeat her in July. This reminds me of the song, "No wheels on my wagon, and I keep rollin' along..."